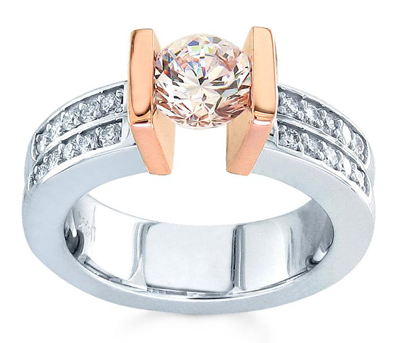 Tension rings give the illusion that the center diamond is floating or suspended in mid-air. 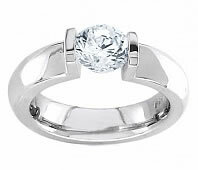 The diamond is actually secured in place by the force of the band which presses against the center diamond. 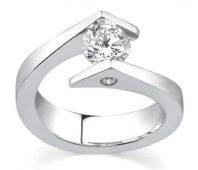 Only a few talented craftsmen are able to create a quality tension ring setting. 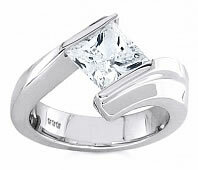 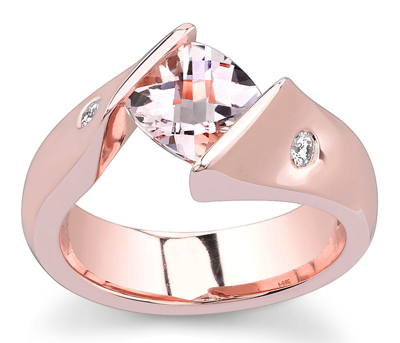 You should also know that there are matching tension ring wedding bands available. 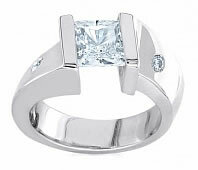 This will make your tension set engagement ring a complete engagement and wedding band set with the style and elegance that only a tension ring can bring. 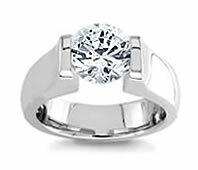 Tension rings are becoming more popular with the ability to select your diamond from thousands of certified diamonds at Novori Jewelry. 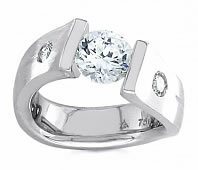 This also makes tension set rings more affordable than ever. 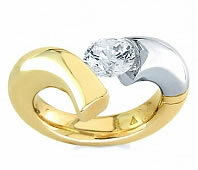 Tensions rings are among the safest pieces of jewelry available. 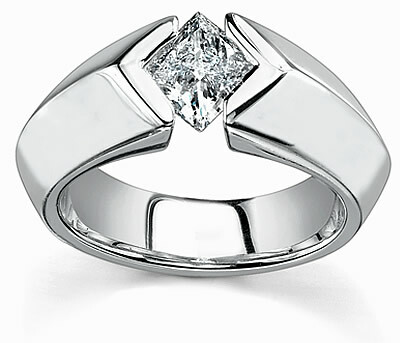 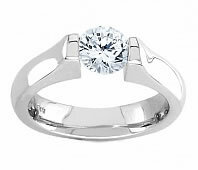 The pressure mounting technique secures the diamond even tighter than those in a typical four-prong setting. 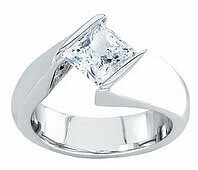 At Novori, our quality and workmanship is backed up with our lifetime warranty.